We all know that operating industrial machinery can be dangerous work and that all safety measures should be taken to avoid a catastrophic injury. Sometimes, a person can be injured despite taking all safety precautions because of a defect in the way that a machine is designed or manufactured, or because the manufacturer of the machine failed to warn the public of a dangerous component or tendency of a piece of equipment. When Brown Chiari LLP is retained to represent someone who has been injured while operating industrial machinery or heavy equipment, we perform an early evaluation and assessment of the accident facts and subject machinery so that we can formulate our theory of the case well before litigation is commenced. Initially, we ensure that the machine at issue is preserved in an unaltered state pending further investigation. Oftentimes this requires our lawyers to go to court to obtain this with an Order. By taking this initial step of preservation, we decrease the risk of the machinery becoming destroyed or altered from its accident condition. 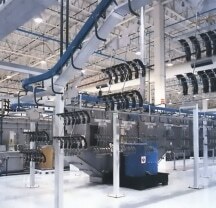 Once the machinery has been preserved, expert(s) are retained to examine the machine and schedule an early inspection. In accidents involving heavy equipment operation, it is important to consult experts who are experienced with respect to the manufacture and use of a particular piece of equipment. After examining the machinery and performing any necessary testing, we conference our team of trial attorneys and experts to discuss possible defects and causation. Applicable industry standards are reviewed at length and we discuss any interplay between such standards and the facts of the subject case. During this phase, we also research whether the machinery was ever the subject of a recall, or whether any advisories or service bulletins were issued by the manufacturer. We also determine whether the machinery was altered by the end user and the effect, if any, of the alteration on its operation. Once armed with an arsenal of information and liability theories, we are ready to proceed with litigation if the manufacturer is not otherwise interested in attempting an early resolution. Once in litigation, we perform focused discovery of any key design changes, as well as any prior or subsequent accidents involving the same or similar product lines of equipment. Experience and a dedicated team of trial attorneys is the key to success in complicated products liability cases.